Cardiac Catheterisation, Coronary Angioplasty, Pulmonary Hypertension. 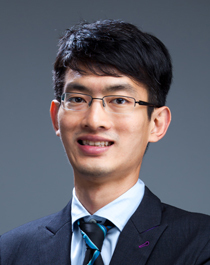 Dr Jonathan Yap is an Associate Consultant with the Deparment of Cardiology at NHCS. His subspeciality interest is in interventional cardiology and pulmonary hypertension. He has a keen interest in education and research. Dr Yap is involved in several ongoing research projects and has published extensively in many international scientific journals. Outcomes of primary percutaneous coronary intervention in acute myocardial infarction due to unprotected left main thrombosis: The Asia-Pacific left main ST-Elevation Registry (ASTER). Yap J, Singh GD, Kim JS, et al. J Interven Cardiol 2017. Impact of stock market volatility on mortality and cardiovascular events. Yap J, Earnest A, Lee V, Sng G, Lam C, Yeo KK. Int J Cardiol 2016;223:318-319. Assessment of left ventricular preload by cardiac magnetic resonance imaging predicts exercise capacity in adult operated tetralogy of Fallot: a retrospective study. Yap J, Tan JL, Le TT, et al. BMC Cardiovasc Disord. 2014;14:122. Complementary and alternative medicine use amongst patients with cardiovascular disease in Singapore. Teo TY, Yap J*, Shen T, Yeo KK. BMC Complement Altern Med 2016;16:446. Multinational and multiethnic variations in health-related quality of life in patients with chronic heart failure. Luo N, Teng TK, Tay WT, Anand IS, Kraus WE, Liew HB, Ling LH, O'Connor CM, Piña IL, Richards AM, Shimizu W, Whellan DJ, Yap J, Lam CSP, Mentz RJ. Am Heart J. 2017;191:75-81. Regional and ethnic differences among patients with heart failure in Asia: the Asian sudden cardiac death in heart failure registry. Lam CS, Teng TK, Tay WT, Anand I, Zhang S, Shimizu W, Narasimhan C, Park SW, Yu CM, Ngarmukos T, Omar R, Reyes EB, Siswanto BB, Hung CL, Ling LH, Yap J, et al. Eur Heart J. 2016;37:3141-3153. Effectiveness of pandemic H1N1-2009 vaccination in reducing laboratory confirmed influenza infections among military recruits in tropical Singapore. Lee VJ, Tan CH, Yap J et a.l. PLoS One 2011;6(10):e26572.